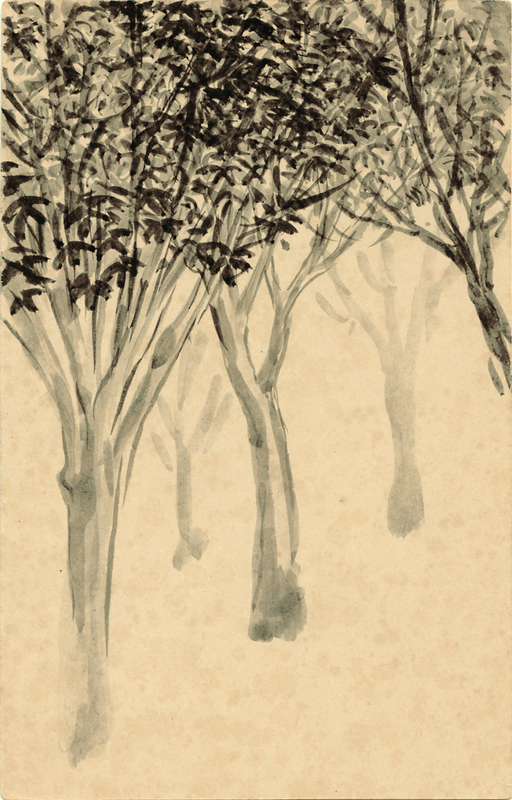 Second artwork (mango trees) was done on (15.12.1950) as a demonstartion lesson using Chinese ink on paper to his students. This was done in the varandha of Kala Bhavan museum. Former curator of the Oriental art division of the Boston Museum of Fine Arts Mr.Okakura Kakuzo has described his genre Artwork includes: historical backgrounds, nature and creativity. Since 1976 Nandalal Bose Artwork was declared as “National Art Treasures” by the Indian government. For the past sixty eight years art work was kept with great respect and secured by A.D.Jayatilake for posterity. These artworks will be sold as a lot online for the highest bidder. Transaction will be done through bank to bank (prime banks) with opening a Letter of Credit (L/C) from buyers side.